Phalloideae N. and C. Amer. [Note: Species with pinkish or brick-colored bruising reactions should be referred to Amanita section Amidella. 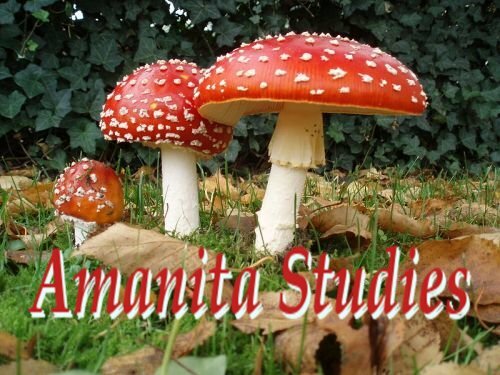 Note: A single collection (at the moment, simply called Amanita sp. M35) from the state of Tlaxcala, Mexico, might be keyed out to this terminus of the present key. The known morphological differences with A. ocreata include the shape of the spores (proportionately narrower, (9.8-) 11.4 - 13.7 (-14.0) × (6.8-) 6.9 - 8.5 (-(9.0) µm, with Q = 1.66). Since the field notes on A. sp. M35 when fresh indicate that there was an odor of cheese, it is possible that a hyphomycete was infecting the basidiome (see A. polypyramis (Berk. & M. A. Curtis) Sacc. ); and, since the flesh reportedly stained yellowish, there may have been a second parasite present (see A. subsolitaria (Murrill) Murrill). This could have distorted both the shape of the fruiting body and the shape and size of the spores. 10. Partial veil cream or pale yellowish, membranous, but distinctly thickened; bulb always pointed below; limbate volva upstanding with notable space separating it from the stipe. Spores (8.5-) 8.8 - 12.0 (-14,4) × (5.8-) 6.1 - 8.1 (-9.0), with Q = 1.39 - 1.57; found very infrequently, known from southeastern Canada and northern tier states of the USA (e.g., Michigan and Minnesota) east of the Rockies with Quercus, Tsuga, Pinus, Larix, or Populus; similar in overall macroscopic appearance to A. magnivelaris Peck (below), which doesn'''''t turn yellow with KOH. The present taxon appears to be rather rare. 16. Pileus never having gray tint; universal veil lacking plentiful inflated cells; spores never dominantly elongate; not yet reported from Mesoamerica.